August 1 is the deadline for filing comments on FDA’s food label proposals. Two were released yesterday, one for and one against. 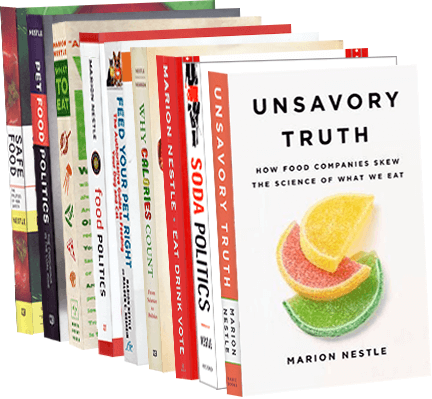 The Union of Concerned Scientists (UCS) organized a statement in support of listing added sugars signed by 280 scientists, physicians, and public health officials (including me). In a letter submitted as a public comment for the agency’s first label update since 1994, the signatories point out that sugar overconsumption contributes to diabetes, cardiovascular disease and other ailments….Many food and beverage manufacturers add excessive amounts of sugar to their products, including those that they market as healthy options. In our current food environment, many people are unknowingly and unavoidably consuming excess sugar. Given our soaring rates of chronic diseases and the link between sugar and these diseases, citizens have a right to know how much sugar has been added to their foods. People who signed the letter include many from Healthy Food Action, a national network of health professionals founded by Dr. David Wallinga. I am a co-author of the statement with UCS staff and Dr. Robert Lustig. In contrast, the American Society for Nutrition (ASN), an organization of nutrition scientists to which I belong, produced a strong statement against labeling added sugars. ASN also has concerns that the inclusion of added sugars on the label may divert attention away from total calories and other important contributors to weight gain. The inclusion of added sugars on the label may confuse consumers and create the perception that naturally occurring sugars are somehow more beneficial because they are “natural” and do not have health effects similar to added sugars…There is no supporting evidence that indicates that the inclusion of added sugars on the food label will translate into the American public reducing caloric intake from added or total sugars or total energy intake…it is important to consider potential unintended consequences of reformulation as well. When sugar is removed from a solid food product…The replacement is often fat and/or starch which could lead to a product with higher calories per serving. ASN encourages FDA to carefully consider potential adverse consequences of this proposed determination, including gaining input from food scientists…An investment in consumer education… is likely to be most productive for consumer understanding relative to added sugars, and would assure that consumers do not experience increased confusion, which they may encounter if added sugars are declared on the Nutrition Facts label. These comments, which read as though written by sugar trade association groups, were signed by the president of ASN. Although the statement letter gives no indication of the process by which these comments were developed, I’m told it was prepared by ASN’s public policy committee. If so, it would help to know whether members of the committee have financial ties to the sugar industry or to food companies that use sugar in their products. I wonder how much of the ASN membership agrees with this position on Added Sugars. I certainly don’t.